You’ve finished your book and now you’re wondering: How on earth will I sell it? This is a daunting question, to be sure, one that involves carefully considering who your readers are and where you will find them. 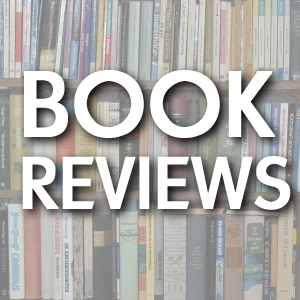 Whatever the tactic, one of the first steps in reaching readers is to obtain book reviews. A book review tells potential readers what sort of content they will encounter in your book. More importantly, though, it lets them know whether or not the book is worth their time. How does the review process work? And what can you expect from a quality book review? Here are a few answers to questions you may have. What are the components of a useful review? The best reviews let readers know what they’ll find in a book. This, of course, means explaining the narrative arc of the book or, in the case of nonfiction, the scope of the subject matter. But it also means telling readers what the experience of reading the book is like: Is the prose smooth and breezy? Is it dense and intellectual? Does the author skillfully help you along? Or will you struggle at points? This kind of information helps readers decide if it’s the kind of book they would enjoy. What are the qualities of a top-notch book reviewer? Quality book reviewers aren’t just people who love to read – like your neighbor or book club friend. They are people with a deep understanding of what makes books tick and proven skill at articulating their thoughts in print. At BlueInk Review, for example, we have a pool of over 100 professional reviewers. Many have a long history in journalism, reviewing for major news sources such as the New York Times, Washington Post and so on; other critics hold senior-level editorial positions at major publishing houses such as Random House and HarperCollins; these editors have spent many years studying the craft of writing and learning what makes a book succeed or fail. In general, professional reviewers are also people who are well-read in the genre they are reviewing. They understand the requirements of the genre and the books that have been important to that category in the past. Most importantly, as mentioned above, they are skilled at analyzing what is working in a book and what isn’t (this isn’t nearly as easy as it sounds). And they have the writing talent to clearly articulate all of this in print. In short, while your neighbor may love books, he or she needs much more than a pile of books by the nightstand to qualify as a credible book reviewer. How do review sources match the book to the reviewer? The right reviewer is absolutely critical to producing a review that is fair to both authors and readers. If you assign a thriller to someone who prefers literary fiction, that reviewer is likely to react the same way someone who hates vegetables will upon seeing a plate of peas: They will have a distaste for the book before they even open it. To help with this tricky match-making process, we ask reviewers to fill out a questionnaire detailing the types of books they enjoy reading. We ask them to go well beyond noting “fiction,” for example, and to let us know if they prefer thrillers, romance, historical fiction, science fiction and so on. When it comes to nonfiction, we ask them if they lean toward history, biography, memoir, self-help, spirituality and other sub-categories. We also ask reviewers to tell us what books they “absolutely hate reading.” This way, we will never be sending them something akin to sending a meat lover a plate of peas. Is the review scrutinized before being posted? Editors also make sure reviewers are consistent in their criticism: If for instance, a reviewer says the book is too long in one part of the review, while noting that it’s a “page-turner” elsewhere, this presents a red flag to an editor. These kinds of inconsistencies usually occur when reviewers fail to accurately articulate their thoughts. Thus, it’s important to challenge reviewers to be as precise as they can be, as any competent editor would. What is the difference between a professional review and a crowd-sourced review? A professional review is carefully vetted to include all of the qualities mentioned above. By contrast, crowdsourced reviews are written by anyone: While it could be someone who actually read the book, it’s just as likely to be someone who is a friend of the author – or an enemy. It’s hard to trust crowdsourced reviews without reservation. This is why Industry professionals, such as librarians and booksellers, do not give these reviews the same credence they do to professional reviews. You may want crowdsourced reviews for your Amazon page, but that should be a starting point for seeking reviews from third party professionals. I’ve just signed up for the $395 review and will send two physical copies to the address given in Colorado. The book is self-published and printed by Diggypod and is copywrited. The book is a fictional mystery and concerns astrology/murder/love story/ and self realization. Presently on sale at Amazon.com for hardcopy and kindle purchase.